Grahtwood Ambusher is an epic Strength creature card. It is part of the Core Set. "There is plenty for all!" "Lies of Lorkhan, you're dead!" 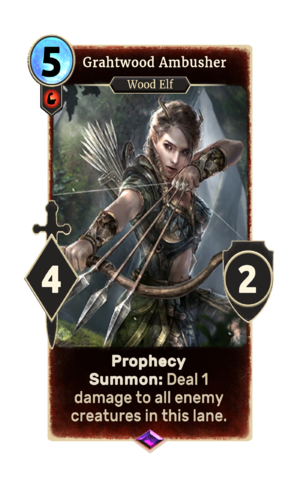 The card is named for the Valenwood region of Grahtwood.